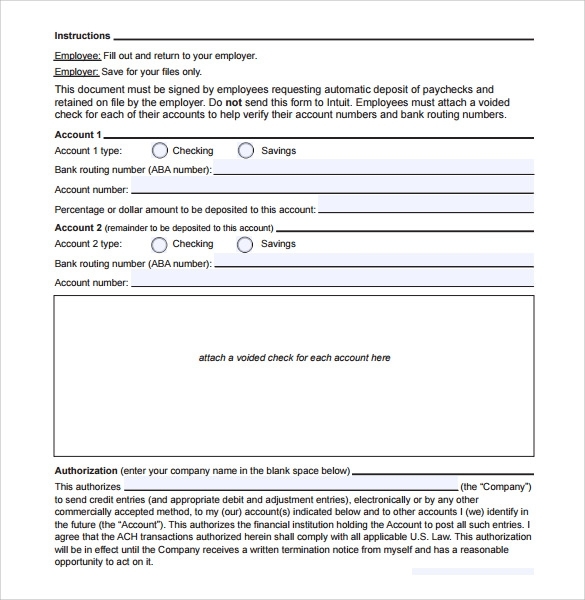 The employment authorization form is to be filled by the people who file for the permission to work in a particular organization. 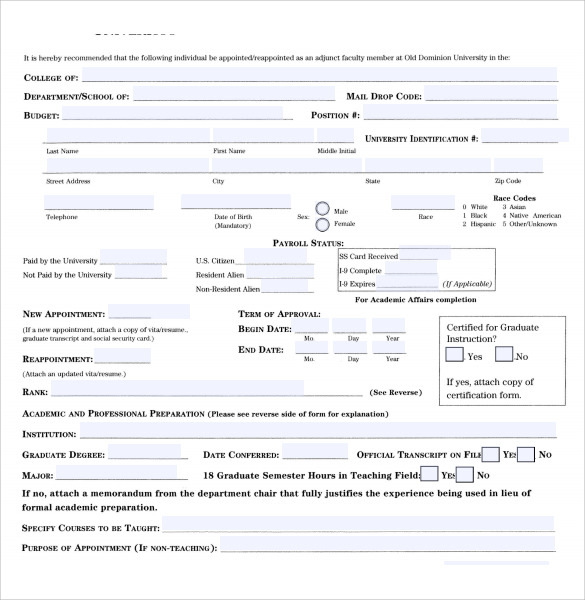 The employment authorization form contains columns for detailed mention of the visa status, the nationality and the purpose of particular job. 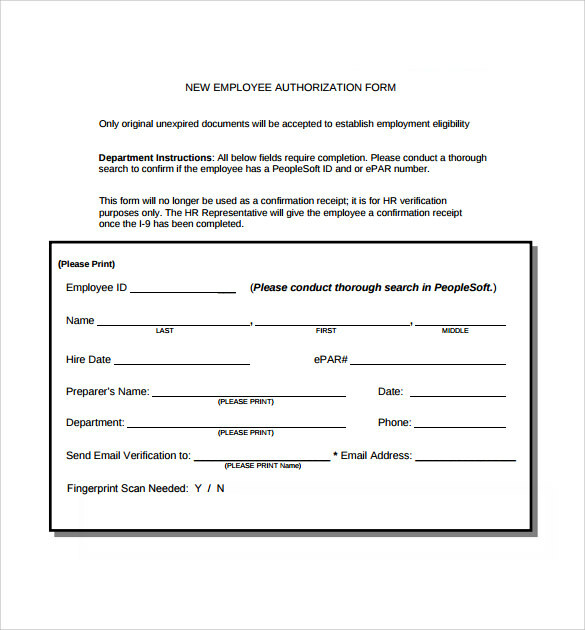 The employment authorization is done to make sure that the people working in the organization have a clear background and create no problems for the organization. 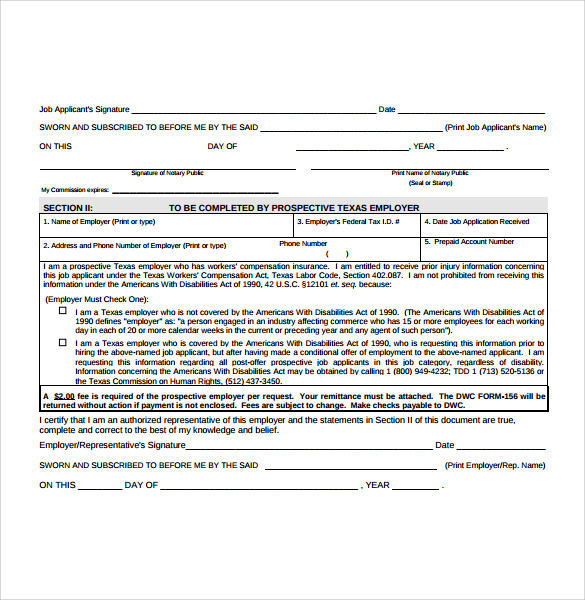 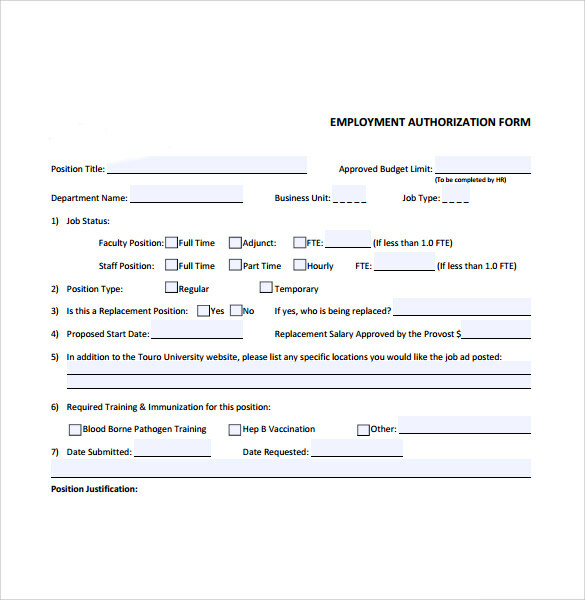 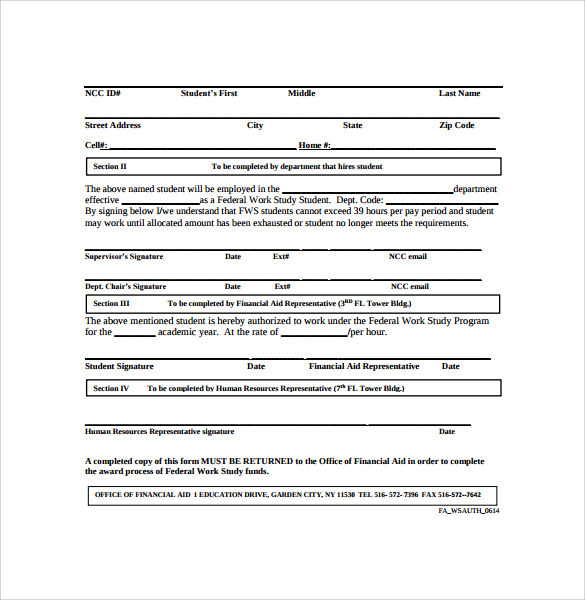 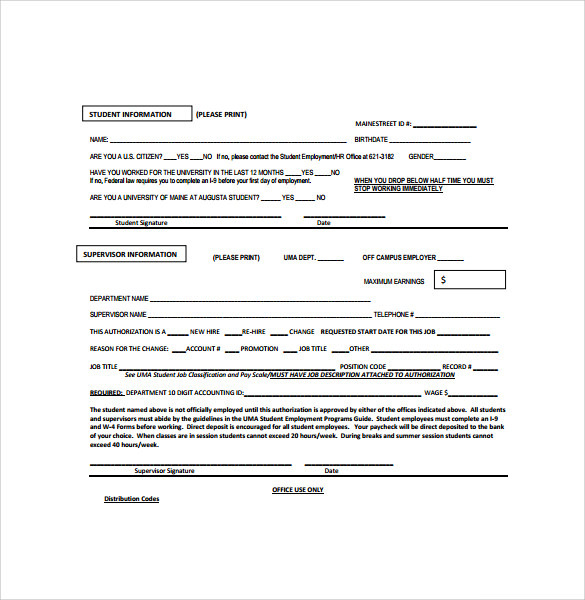 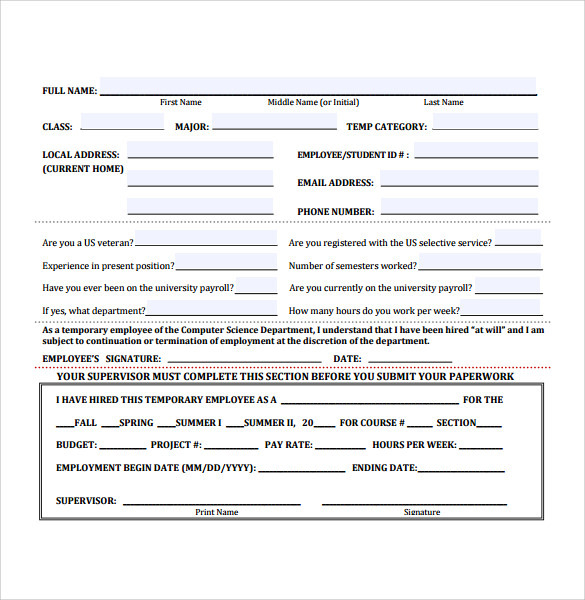 The employment authorization form is available on this site and you can download it in either of the file formats namely pdf or word document.